An intuitive management and reporting platform to help you drive business decisions and maximize ROI. 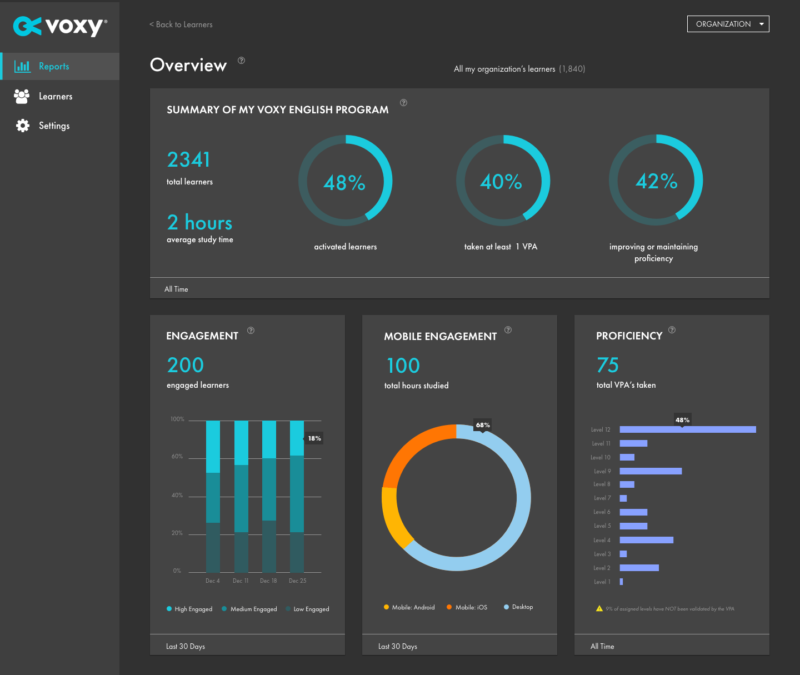 A comprehensive and user-friendly dashboard helps you visualize data, observe trends, and develop insight into how your learners are improving with Voxy. 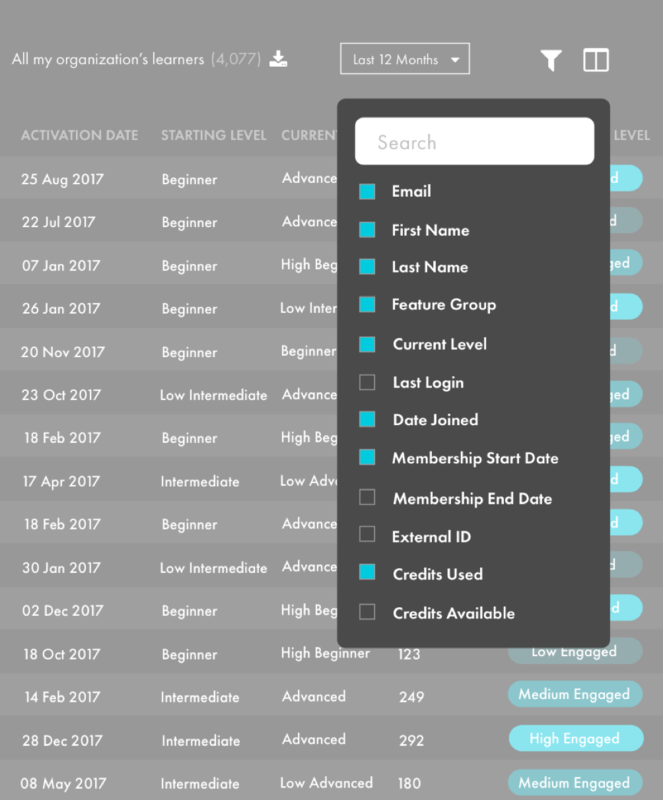 Our individual learner report makes it easy to understand learner engagement and performance so you can take action to encourage advancement towards your learners’ goals. 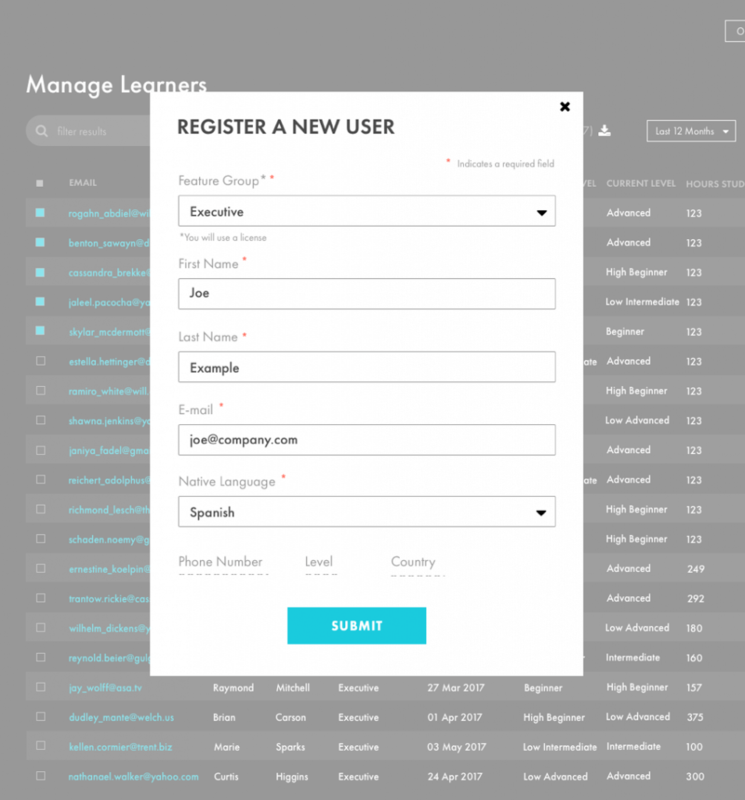 Directly manage learner accounts without the need for any technical integrations. Quickly adapt to learner needs and maximize ROI by controlling when licenses are distributed and what learners have access to. Create your own custom reports with our advanced search and filter tools to perform independent analysis of your unique data. Search, segment, and filter learner data by attributes that are specific to your organization. Comprehensive achievement reports empower you to more deeply engage with learners in your organizations, providing critical insight into areas of need. 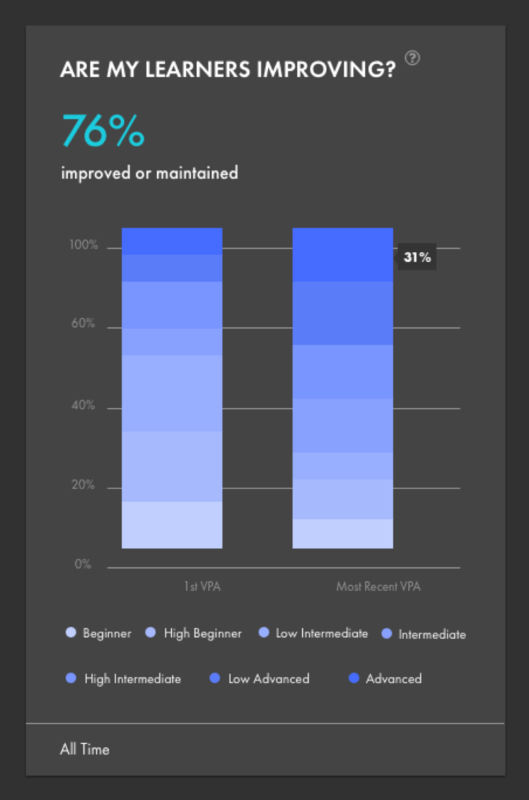 Access to engagement and proficiency reports helps you understand the value Voxy delivers and enables you to measure and maximize you return on investment. Want to learn more about the Voxy Command Center?